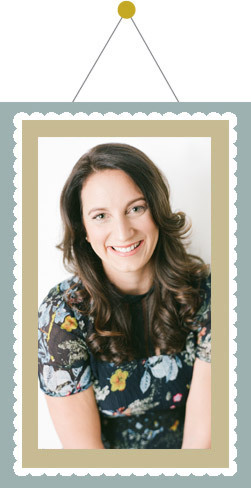 Kristin Kennedy of Kristin Ashley Events is a high-end wedding consulting company aimed at “Creating Frameworthy Events”. Our team offers month of coordination, designing, full-planning services, and expert advice from the beginning until the end. We are a loyal company who listens to each and every bride’s ideas and visions and create an unforgettable wedding; for the reason that no two brides are the same. We take pride in our Midwest roots, Southern style, and a Big City inspiration to help maintain our fresh and fun style that allows us to travel the world. Kristin also specializes in destination weddings and has experience in planning weddings from the Midwest, Florida, South Carolina, California, Bahamas, Costa Rica, Puerto Rico, Virgin Islands, Mexico, France and more! After graduation, Kristin joined forces with one of the top American designers, Ralph Lauren, where she worked with the visual merchandise department on Michigan Avenue. Kristin had an opportunity to expand her talents and join the wedding industry shortly after. Kristin started working with one of the most well respected wedding consulting companies in Chicago, Engaging Events by Ali, Inc. After nearly two years with the company, Kristin moved to St. Louis, Missouri. She decided to make her dream of owning her own event business come true and opened Kristin Ashley Events, LLC. in 2010 and in 2015 a second location, Austin, Texas. Her motto is quite simple; Peace, Love and Planning. With a Yoga certification from Wanderlust, Kristin offers the ultimate stress reliever on the wedding day, yoga! Kristin has been nominated and won several industry awards. St. Louis Wedding Awards named Kristin Wedding Planner of the Year for 2012. Kristin Ashley Events has also been selected for The Knot Best of Weddings for 2012, 2013 and 2015. 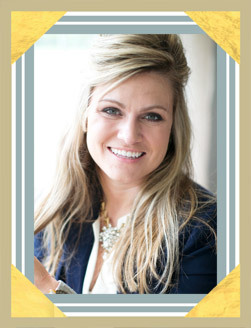 In 2014 Kristin was nominated by, A Perfect Wedding Guide for Planner of the Year in the St. Louis area. In 2016 Kristin Ashley Events was named one of Austin’s top wedding planners by Brides of Austin. Kristin Ashley Events is honored to be a featured planner on KMOV Great Day St. Louis and other appearances with St. Louis KDSK. Over the years we have been in countless publications such as; St. Louis Bride, The Knot, St. Louis Magazine, Alive and some of the top wedding blogs; Grace Ormonde, Southern Weddings, Style Me Pretty, Green Wedding Shoes, Junebug Wedding, Elizabeth Anne Designs and more! Jessica joined our team in 2011. She has strong organizational skills, hard work ethic and fun sense of humor/personality which add to the calm demeanor at Kristin Ashley Events. She is crafty and has amazing ideas that have really added to our design and success. With her strong passion in the event planning world, Jessica has since gained responsibility in taking on her own weddings. Jessica believes attention to details make huge results. Jessica resides in her native town Louisville, Kentucky where she runs and operates our Kentucky office. She loves to travel anywhere her suitcase is willing to take her. Whether the destination is Costa Rica or Chicago, Jessica loves to jump on a plane and help create show stopping events where ever the job may take her! Kate Wiegmann joined the Kristin Ashley Events team in 2015 when she and her husband moved to St. Louis from South Carolina. 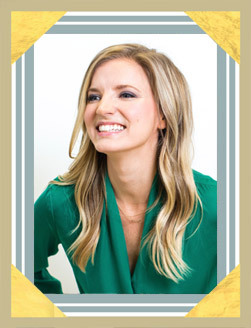 She spent the past decade planning events and working in PR down south, but don’t worry; she brought the southern charm and drawl with her to the Midwest! You might also recognize her as the COO of Rise Collaborative Workspace in St. Louis, MO. She has planned private and corporate events of all scales and formats from small dinner parties to large black tie galas to celebrity appearances. Kate’s creative eye paired with her impeccable standards result in events that are as beautiful as they are well organized. Unapologetically optimistic, Kate is consistently lauded by her clients for her customer service, laughter and positive attitude. Kate and her husband, a St. Louis native, were actually the first Kristin Ashley Events wedding in St. Louis, so her passion for the company couldn’t be stronger. Outside of events, Kate is a freelance lifestyle writer, a world traveler, and lover of all things delicious, decadent, colorful and fabulous!